» Dual Processor Motherboard for Gaming? Is It Worth It? Dual Processor Motherboard for Gaming? Is It Worth It? Imagine playing your favorite PC game just when you are on the cusp of victory when suddenly, your screen goes dark. Indeed, nothing is more frustrating for any gamer than to have insufficient PC requirements to run a game. Interestingly, rumors are circulating nowadays that one of the best options to go for in buying a gaming PC is to purchase a dual processor motherboard for gaming. But is it really worth it? What is a Dual Processor Motherboard? Whether there’s something wrong with your RAM, video card, or the motherboard, having enough quality parts is crucial in running some of the most advanced PC games out there. Amped up PCs have recently acquired a new trend supposedly to elevate the standards of gaming performance: dual processor motherboards. Motherboards are responsible for coordinating the communication lines between various parts of your CPU. Generally, it plays one of the most crucial roles in any computer and will not function at all without it. The first motherboard ever to have been designed with two sockets have been available in the market since 1995. However, these industrial grade motherboards were meant to aid network and server support functions only. Dual processor motherboards are usually sold in B2B environments (i.e. system builders, integrators, etc.) as opposed to making it available to the public. Needless to say, dual-socket motherboards are engineered for serious workstation throughput. Dual Core vs. Dual Processor: How Does it Work? For those of you who are confused with tech jargon, there is a big difference between dual core and dual processor despite the fact that many people think they are the same. Dual Core refers to a single processor that has two core counts made for higher PC performance. Dual Core processors are usually contained in a single CPU and holds all the stress from applications and games you run on your PC. On the other hand, a Dual Processor Motherboard is a computer mainframe that can support two processors and therefore allows the operation of two CPUs simultaneously. Motherboards with dual processor sockets work by adding more control circuits to enable multiple CPU tasks compared to a single one. For starters, motherboards equipped with two sockets allow you to use two CPUs at the same time. Amped up motherboards like these usually have greater PCI-Express and additional RAM slots allowing up to 256 GB of RAM on top of your video card RAM allowance. Some of the latest models of dual socket motherboards such as GIGABYTE’s MW50-SV0 have recently developed technology that allows the motherboard to support a three-way graphics system. This latest trend allows users to have massive VRAM capacity which is perfect for audio and video production, animation, rendering, and 3D modeling among others. Other performance-enhancing features are also in the pipeline including 12GB/s data transfer speed rate, a DDR4 memory support, and easier BIOS updates. Despite the growing buzz over dual processor motherboards, processors are not the most important component of a gaming PC. When looking for a high-performance gaming computer, what you should really be looking out for is the graphics card. Most PC games can run with a mid-range processor. While core counts and clock speeds are continuously being developed, any desktop build in the past five years can most definitely fare well with most PC games in the market. If you’re building your gaming PC from scratch, remember that you don’t have to purchase the most expensive parts just to have the best gaming experience. Even moderate processors nowadays can be easily overclocked to increase performance. So make sure to invest in a good graphics card if you’re all into improving your gaming experience. On the other hand, most users recommend Intel’s Pentium Gold G5400 or AMD’s Ryzen 3 for budget desktop processors. While they are not high-end processors, they are definitely more than enough to play any PC game you throw at them. The Bottomline: Do You Need a Dual Processor Motherboard for Gaming? The answer is no. While having a dual processor motherboard makes you a total gaming rockstar, it doesn’t do much to improve your gaming experience compared to high-performance PCs with single processor units. Additionally, no game has ever been developed and designed to make use of two CPUs at the same time. Dual processor motherboards generally require bigger cases, dual heatsinks and consumes greater power. A dual socket motherboard is also pretty darn expensive so having that additional horsepower without actually being able to maximize it for its intended purpose is not really helping you at all. Can you imagine yourself going out to buy grocery driving a 2018 Lamborghini Aventador? 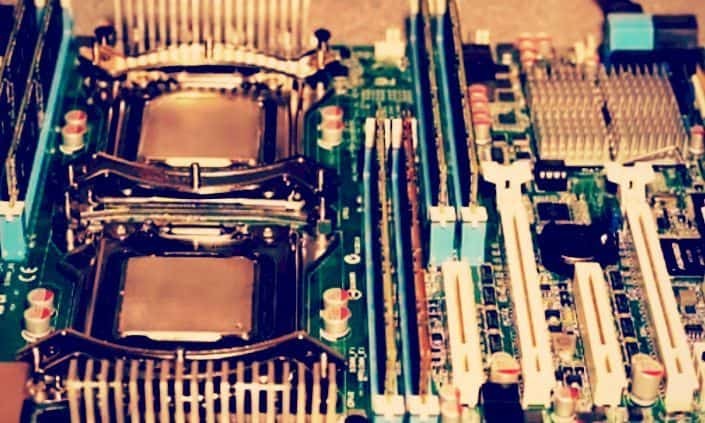 Certainly, dual-processor motherboards are an overkill if you’re not a computer engineer maintaining a server or operating a vast computer network. In the gaming world, processor performance is measured in terms of its core count and NOT about the number of sockets or CPUs it can support. Older gaming CPUs used to have two cores, but standard models today have four cores. Advanced CPUs are now sporting core counts up to 4, 8 and 16 cores such as can be seen with AMD’s Ryzen series. If you’re worried about not having the optimal gaming experience for some PC games you’re playing, rest assured that dual CPUs are not your only option. The standard gaming CPU nowadays are equipped with four cores which is double the core amount of older CPUs. What’s more, quad-core CPUs are only bested by higher core count CPUs by a negligible margin. In layman’s terms, while you CAN play with two CPUs at the same time, there is certainly NO NEED for any PC game to require more than a single computer. Yes, having a dual processor motherboard for gaming can be useful in terms of additional computing power, higher PCIe and greater memory bandwidth. However, it must be pointed out that you don’t really need a dual socketed motherboard to run even the most advanced PC games ever developed. VR is getting more and more popular every single day, and I am sure that it will become the must-have thing for every home. Ages don't matter because this thing is interesting for both kids and adults. This time I created the list with best VR for kids! However, if you are a little bigger, but feel like a kid, you can still read the article because you will find a ton of useful tips while buying VR. Some of them are a little bit more expensive, so you need to choose wisely and not spend money on some crappy ones. If you really want to surprise your kids, nd get them something special, this is it. Just look at the picture. It is for PROs and everybody will like it. You can't go wrong with it. As I said before, Oculus is one of the most famous VR companies and they make top notch stuff. The design is phenomenal. It comes in only one color, matte black. I also love glossy black, but it is a fingerprint magnet, and it gets dirty very quickly. That's why I love matte black for my gadgets. It costs a little bit more than normal VRs like Samsung and Google one, but I think it is worth the money. It is big, but the comfort that you are getting is amazing. Everything is very soft to touch, and you won't need to put them off after long gaming sessions. With this one, you are getting 6 free titles, so it means that you won't need to pay for anything else that you needs. However, it requires high-end specifications like GTX 1050 Ti or RX 470. You can check my article about the best GPUs here. It will help you a lot.